Robert Sorokanich at Gizmodo spots all 13 Saturn V rocket launches! And here's all six Apollo Lunar landings too! Thanks to Alex Santoso at Neatorama for spotting Adventure Is Calling timelapse vista by Shane Black & crew with view of a dozen of America's great National Parks! "Once upon a time, in almost every city, many rivers flowed. Why did they disappear? How? And could we see them again? This documentary tries to find answers by meeting visionary urban thinkers, activists and artists from around the world." 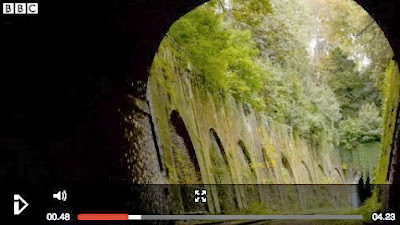 "For 32km (almost 20 miles) the tracks of Petite Ceinture snake through bustling Paris, isolated and largely unseen from street level in deep trenches, long tunnels, and bridges. Nature has reclaimed the space and it has become a haven for wild flowers and animals. The line is officially off-limits to the public, but this hasn't stopped many people attempting to explore it. There is now a fierce debate in the French capital about what to do with the tracks and stations of the Petite Ceinture that still remain." 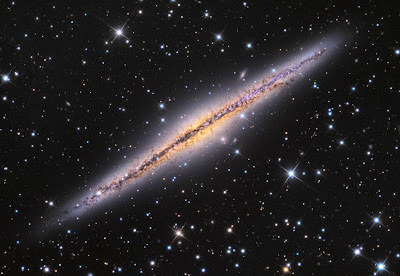 NASA APOD spots Edge-On Galaxy NGC 891! 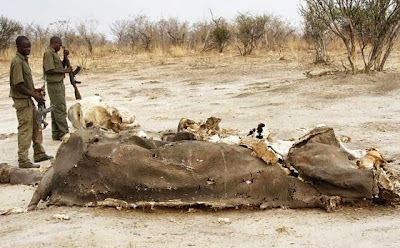 "The full extent of the devastation wreaked in Hwange, the country's largest national park, has been revealed by legitimate hunters who discovered what conservationists say is the worst single massacre in southern Africa for 25 years. 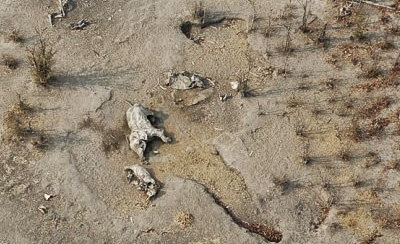 Pictures taken by the hunters, which have been obtained exclusively by The Telegraph, reveal horrific scenes. 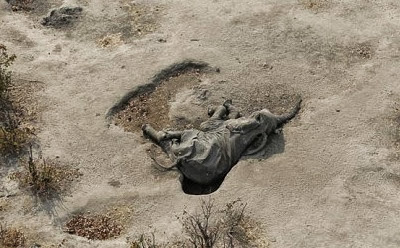 Parts of the national park, whose more accessible areas are visited by thousands of tourists each year, can be seen from the air to be littered with the deflated corpses of elephants, often with their young calves dead beside them, as well as those of other animals." P.S. 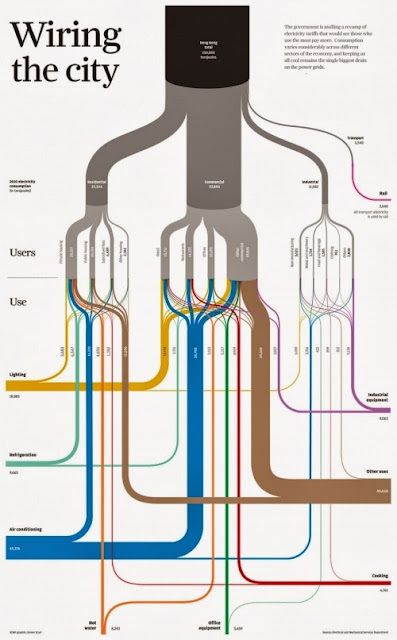 Thanks to George Dvorsky at io9 for spotting this. Thanks to Kuriositas for spotting Max Wilson's lovely Chicago timelapse Windy City Nights! "If you want to see the challenges small food entrepreneurs face on a daily basis -- with long hours of hard work as their only guarantee -- then you’ll love Dog Days. [The Directors say...] we began shooting when there were only a few food trucks on the scene, and we loved Coite’s idea of bringing new food to the streets, but working with existing vendors. We also felt like there was a largely untold story there about an immigrant population of vendors that have been selling food on the streets of DC for over 20 years. [...] We wanted to capture the immigrant story in the film because it’s a community that can easily be overlooked in the course of day-to-day life." Plus follow their saga via blog. Abbas Raza at 3qd spots timelapse engine rebuild! Just a few nuggets in memory of Carl Sagan... And here's the ultimate tribute -- the 'illions supercut! "Mixed-race people are no longer that rare, and Japan has become more open about the whole thing. But have things really improved? Megumi Nishikura and Lara Perez Takagi’s documentary “Hafu” takes the bull by the horns and the results are intriguing. [...] Thoughtful and kindhearted, “Hafu” is never an indictment of Japanese mores and society. But you sense the subjects wishing, in some corner of their minds, that they were a little less 'different'..."
GoodGuide's founder Professor Dara O'Rourke summarizes essential benefits of their "pocket PhD" powertool for assessing health, environmental and social performance of products and companies... My colleague Leo Bonanni spotlighted them in our Future Craft class tonight.